Entrepreneurs and innovators in San Diego have historically been met with a supportive ecosystem, but as the city shifts its stance on the gig and sharing economy, it signals to technology companies that the city will not be accommodating to future innovation and investment. Just a few years ago, San Diego laid claim to being the only North American municipality featured in the National Geographic documentary series “World’s Smart Cities,” touting its strong technology sector, local talent and high quality of life as factors lifting it to be one of the most forward-thinking cities across the globe. But recent actions by the San Diego City Council have dealt a blow to its reputation as a transformative innovator. 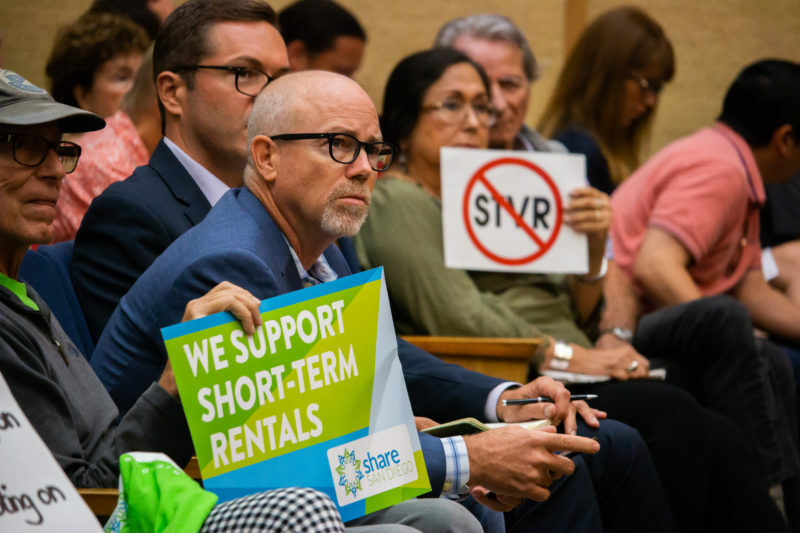 The City Council decided last month to reject the interests of local residents who want to list their homes on short-term rental platforms — like Airbnb, VRBO and HomeAway — thereby stripping San Diego residents of much-needed income and costing the city millions of dollars in tax revenue. And it’s not just the local economy that will be negatively impacted by this decision; San Diegans are quite literally being told what they can and can’t do with their homes. More concerning is that the City Council’s decision has the potential to fundamentally change San Diego tourism. Travelers are increasingly seeking short-term rental accommodations when they travel, so it’s likely that many tourists will simply choose another destination, with the city no longer willing to offer travelers and their families choices when it comes to accommodations. San Diego residents should support the public referendum to overturn the City Council’s recent action to ban short-term rentals, because they understand the significant economic opportunities that tourism, including short-term rentals, provide to the San Diego community, including thousands of jobs and nearly $500 million in economic activity annually. Perhaps the most important implication of the City Council’s decision, however, is that it represents a sharp turn away from the openness to technology and innovation needed to foster the 21st century gig economy. There is no better indicator of a city’s mindset toward technology and innovation than how that city has treated the sharing economy. Entrepreneurs and innovators in San Diego have historically been met with a supportive ecosystem, but as the city shifts its stance on the gig and sharing economy, it signals to technology companies that the city will not be accommodating to future innovation and investment. Not only was San Diego’s ability to attract the next generation of job creators at risk, but the future of home delivery via drones, mobility solutions and much more. Is that the precedent that this forward-thinking city wants to set? It’s not too late for the city residents to correct for the City Council’s misstep. The referendum to overturn the recently adopted de facto ban on short-term rentals must collect signatures from 35,823, or 5 percent, of the number of San Diego’s registered voters as of the 2016 general election within the next two weeks for the City Council to withdraw the regulations or put the issue on the 2020 ballot. To add your name to the list of San Diego residents that support this referendum and ensure that restoring property rights is on the ballot in 2020, look for residents in green shirts collecting signatures of support around your community. Matthew Kiessling is vice president of short-term rental policy at the Virginia-based Travel Technology Association, which represents online travel agencies and other companies, including the short-term rental platforms Airbnb, HomeAway and VRBO.